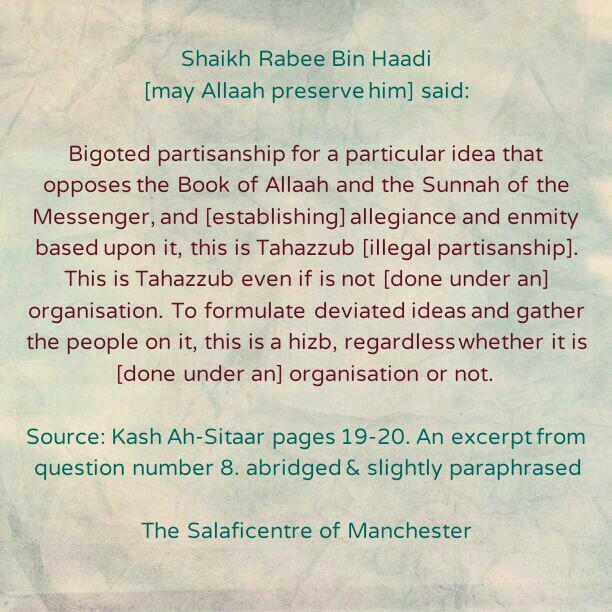 Bigoted partisanship for a particular idea that opposes the Book of Allaah and the Sunnah of the Messenger, and [establishing] allegiance and enmity based upon it, this is Tahazzub [illegal partisanship]. 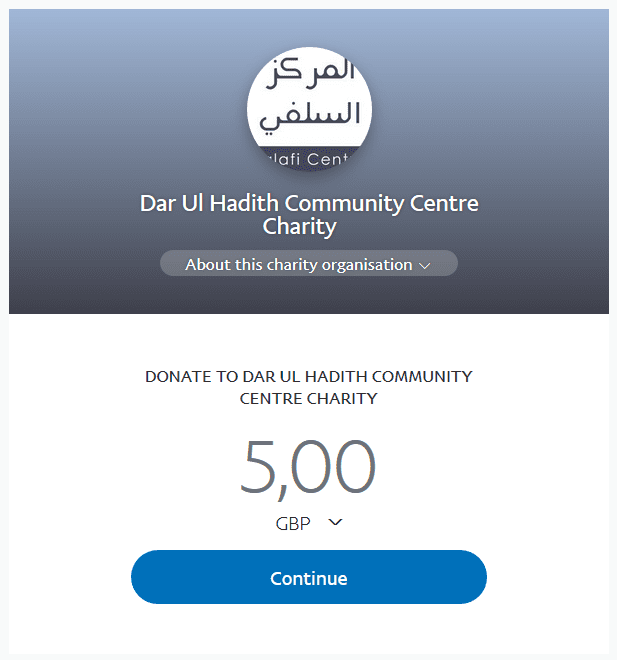 This is Tahazzub even if is not [done under an] organisation. To formulate deviated ideas and gather the people on it, this is a hizb, regardless whether it is [done under an] organisation or not.